Is the iPhone 4 Faster on AT&T or Verizon? 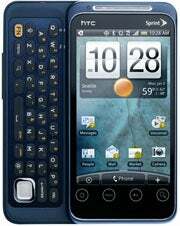 AT&T sells exactly two phones capable of hitting (theoretical) top speeds of 14.4 mbps on the carrier's HSPA+ network: the Motorola Atrix 4G and the HTC Inspire 4G. These phones are meant to deliver the "4G" speeds that AT&T says its 3G HSPA+ network is capable of. At least where the Atrix is concerned, the claims did not prove out in our tests. In fact, the Atrix's average download and upload speeds (but especially the upload speeds) in our five testing cities seemed distinctly 3G-like. The phone scored a five-city download speed average of 1.68 mbps (far slower than the Verizon and T-Mobile phones, and just a hair faster than Sprint's EVO Shift 4G), and an average upload speed of 0.19 mbps (the slowest average upload speed in our tests). Only in San Jose did the Atrix score an average download speed of more than 2 mbps--our dividing point between 3G and 4G speeds. The phone didn't break the 2-mbps barrier even once in our Las Vegas and Los Angeles tests; in San Francisco it passed the barrier four times, and in Seattle it did so only twice. In the majority of our tests, the Atrix clocked download speeds of between 1 and 2 mbps. While we were conducting our tests, news surfaced that AT&T had admitted to intentionally throttling back the upload speeds of the Atrix. This certainly bore out in the test results we were seeing at street level. Our measured average upload speed of just 0.19 mbps on the Atrix is the kind of performance that would seriously hinder bidirectional apps like VoIP or video chat. In our 13-city tests earlier this year, the iPhone 4 achieved far faster uploads (0.97 mbps on average) on the very same AT&T network. Nor would the Atrix's latency scores help the performance of the above-mentioned apps: AT&T's network registered an average 247 milliseconds of latency time across our five testing cities, well above the 100-millisecond breaking point between smooth, responsive performance and delayed, choppy results. Sprint: Where Art Thou, WiMax? Our January speed tests demonstrated that Sprint's 4G WiMax service is indeed fast, but that it isn't available in enough places in Sprint's markets. The same theme was evident in our recent five-city testing of Sprint's EVO Shift 4G phone. (The Shift was the first new 4G phone to hit the shelves this year; the company announced it at CES on January 4, and put it on sale January 9.) The Shift averaged 1.65 mbps for downloads and 0.50 mbps for uploads--pretty good in 3G terms, but poor in 4G terms. Sprint and its WiMax partner Clearwire simply don't have sufficient density of WiMax base stations on the ground to ensure that Sprint 4G customers can pick up the WiMax signal consistently across cities. We found that when the EVO Shift 4G was close to a WiMax base station, it could connect at between 2 mbps and 4 mbps--but we spent much of our time outside the reach of a base station. The problem was especially bad in our Seattle and Los Angeles tests. Of the 22 testing locations in those cities, the EVO Shift 4G connected at a 4G-like 2-mbps-plus speed at only one (2.15 mbps in south-central Los Angeles). One explanation might involve the way the EVO Shift 4G moves back and forth between 3G and 4G modes: When the Shift searches for 4G service and doesn't find any, it turns the 4G radio off--but whether the phone turns the radio back on when it picks up the 4G signal anew remains unclear. Overall, the Shift's average speeds were about the same as those we recorded in our 13-city speed tests earlier this year using the Shift's older sibling, the EVO 4G. The EVO 4G ended up with a 1.50-mbps average download speed and a 0.56-mbps average upload speed. Network latency times on the Shift were similarly unimpressive, at 237 milliseconds. Although we didn't test the video-chatting feature that Sprint shows in its ads, we doubt that it would work very smoothly with delay times like that. Our testing method is designed to approximate the experience of a real smartphone user on any given day in their city. We speed-tested our four phones from ten to twelve testing locations spaced evenly throughout our five testing cities. At each testing location in each city, we took a "snapshot" of the performance of each wireless service, testing for upload speed, download speed, and network latency. We looked for the fastest signal available for each carrier, searching first for 4G service, and then, failing that, defaulting to the carrier's 3G service. Because wireless signal quality depends to a large extent on variables such as network load, distance from the nearest cell tower, weather, and the time of day, our results can't be used to predict exact performance in a specific area. Rather, they illustrate the relative performance of wireless service in a given city on a given day. Megan Geuss and Armando Rodriguez of PCWorld contributed to this report.